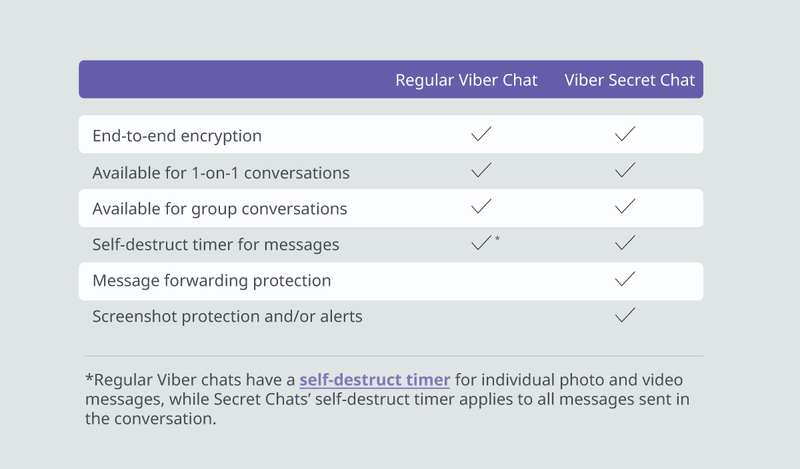 Earlier in 2017, Viber launched “secret messages,” a feature allowing users to create self-destructing messages. Now, it’s launching Secret Chats – entire conversations that self-destruct after a specific amount of time. If you’re a Viber user, you might be scratching your head right now. You might be thinking, “But, I’ve already got Secret Messages – now Viber is launching Secret Chats… what’s the difference?” Well it turns out there is a big difference. As with all messages on Viber, Secret Chats are end-to-end encrypted conversations that users can also hide with a PIN code. In case you don’t know it, Viber is one of the world’s top messaging platforms, with over 800 million users around the world. It is popular across the globe, especially in Asia and Eastern Europe. Secret Chats will be rolling out to all users within the next week or so.